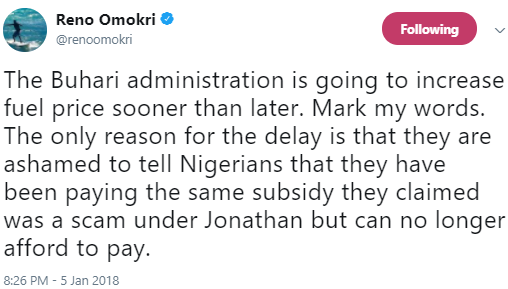 Reno Omokri has been syaing this for some days now, and tonight he repeated it. I am not sure Nigerians are ready for this. Really not sure. » NLC Talks Tough, Says, “We Shall Resist This Increase In Petrol Price"